A few months unclaimed has left the top U.S. prize at $1.6 bln. A successful punter or several will become at least as well off as founders of a hefty tech unicorn. Rubbing shoulders on rich lists might rankle with startup billionaires – but their wealth owes plenty to luck, too. 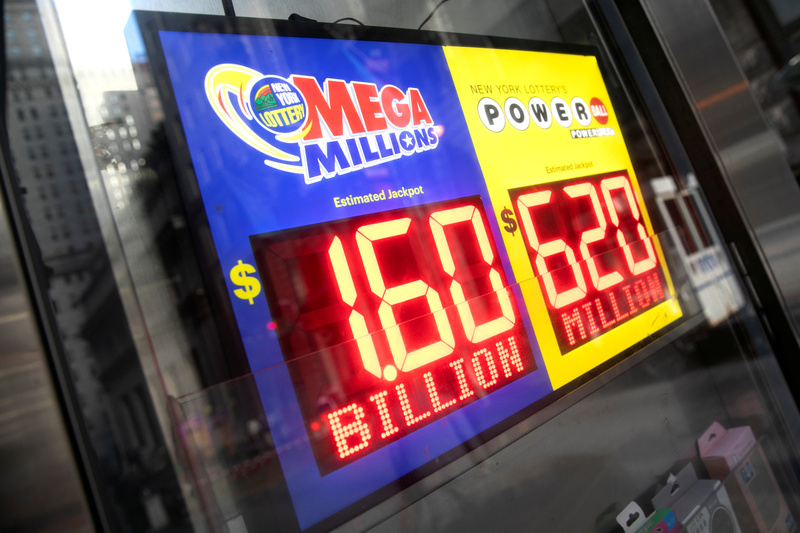 Signs display the jackpots for Tuesday's Mega Millions and Wednesday's Powerball lottery drawings in New York City, New York, U.S., October 23, 2018. The U.S. Mega Millions lottery jackpot will be an estimated $1.6 billion for the drawing scheduled on Oct. 23 at 11:00 p.m. EDT. Tickets for the lottery are sold in 44 states, the District of Columbia and the Virgin Islands. The jackpot will be the largest in U.S. history. The last drawing occurred on Oct. 19, and the $1 billion top prize rolled over into this context. The last winner of the Mega Millions jackpot was on July 24. The odds of winning the grand prize for a $2 ticket are one in 302,575,350. Half of all sales are awarded as winnings, of which 63 percent goes to the jackpot.